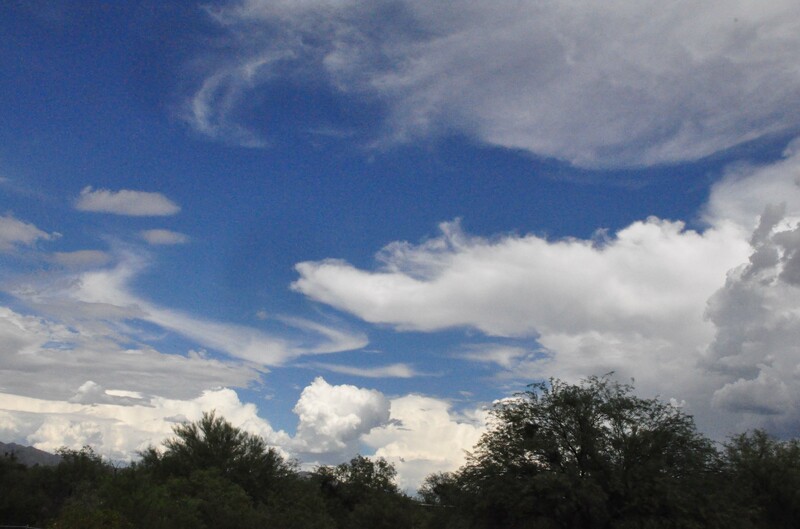 We have had a wonderful monsoon season in this part of Arizona. The cloudscapes have been very impressive and ever-changing. Pokeberry. I have seen only two examples in all my years of looking. 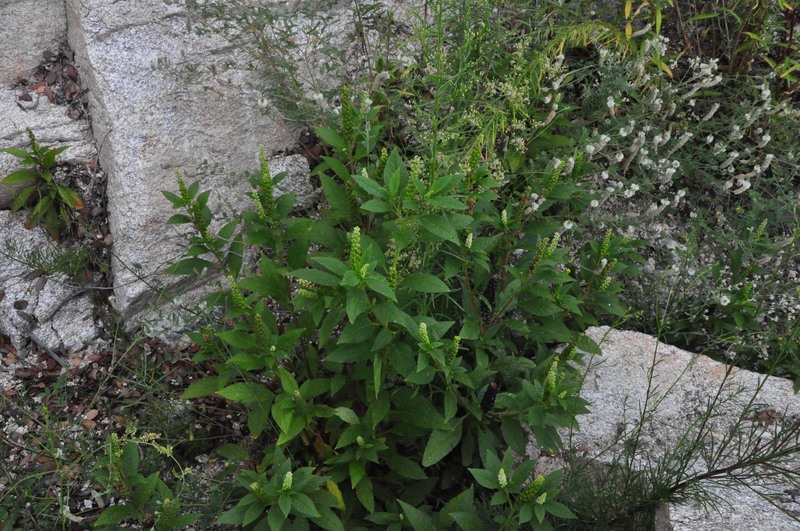 Recently I went to find one of the two, and the space where it used to be was completely empty of vegetation. Then I stopped to check in on the other one and found it was still there though smaller than in the past. 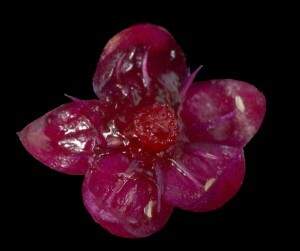 I was able to get a close-up picture of the flower and of the fruits. 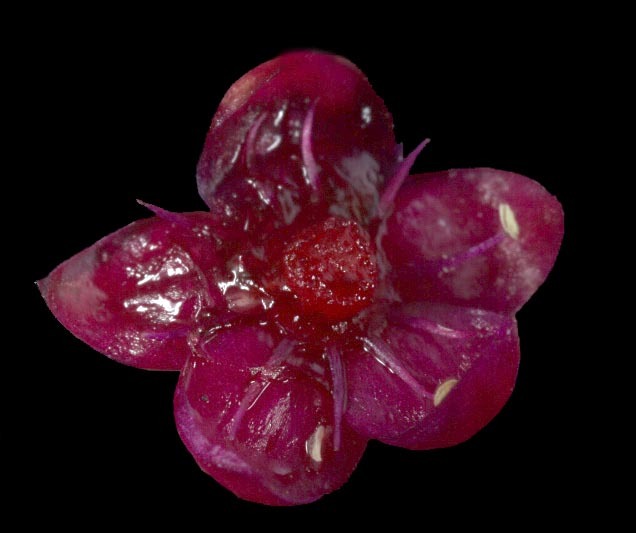 When the fruits drop what remains looks a lot like a flower. I noticed that the remnants of the anthers were still there, long after the rest of the flower had fallen off. 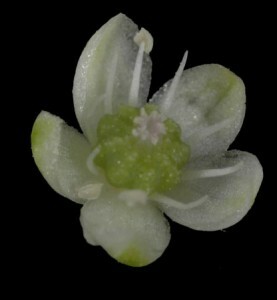 The first picture shows the plant in its setting. 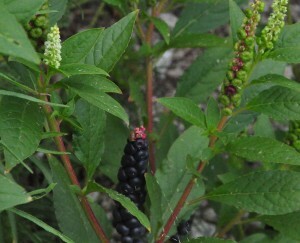 The next a closer look where you can see an inflorescence in the upper left, and a fruit stalk with deep red fruits in the lower center. 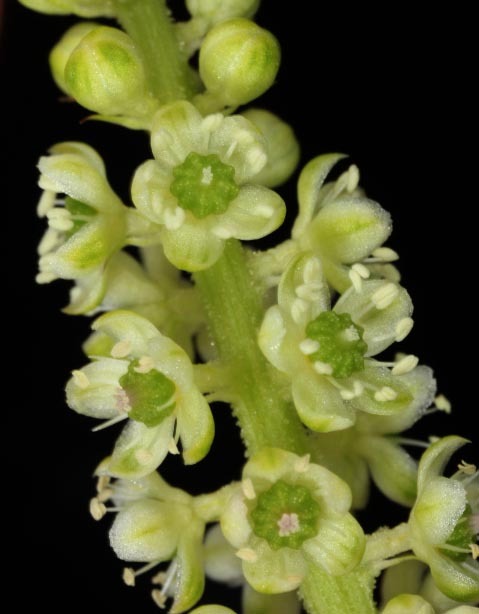 Then there is a close up of part of the inflorescence, and next an individual flower. The last picture shows the place where the fruit was, leaving behind the anthers. 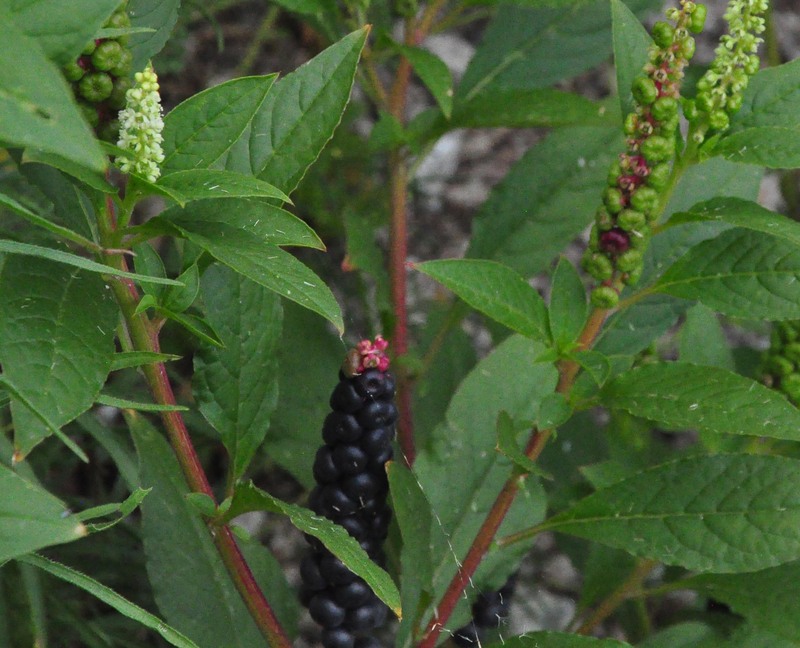 This is a poisonous plant, with deep wine-colored fruit used for dyes and inks. 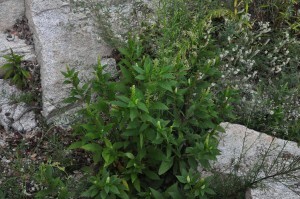 The leaves can be eaten only after much preparation to remove the toxins.